Dwayne Johnson, a.k.a. 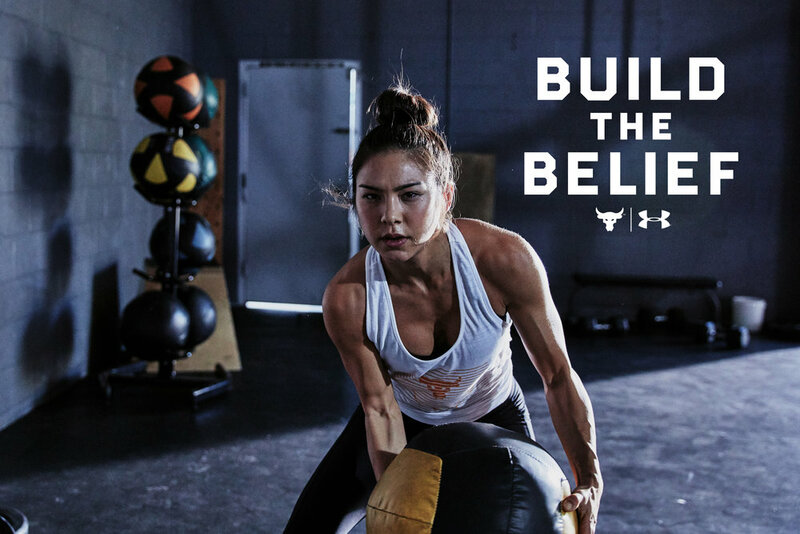 “The Rock” and Under Armour formed a joint venture to launch the Project Rock apparel collection. They had a line of clothing on shelves, but needed a bigger foundation to grow the business. 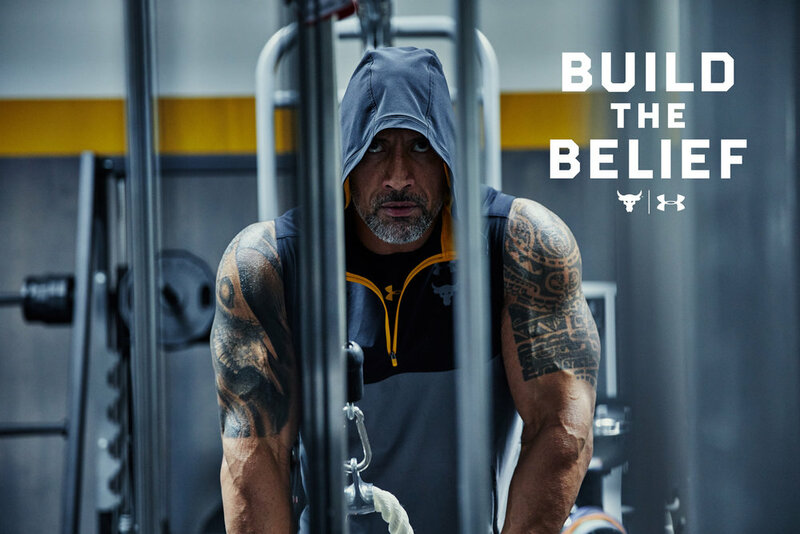 That’s when we stepped in, creating an authentic brand based Dwayne’s personal story, a product design strategy that reflected his training ethos, and the first ad campaign for Project Rock. 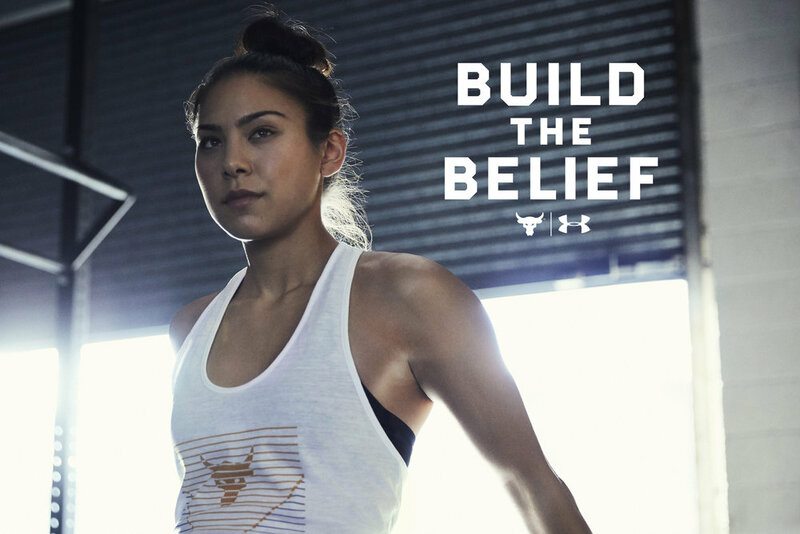 for every product collection emblazoned with the Project Rock bull logo. from retail photography to product copy to ad campaigns. Dwayne Johnson went from being an unemployed guy with just seven bucks in his pocket to the guy who we all know as "The Rock." To make that kind of change in your life takes a whole lot of sweat, grit, and hard work. Beyond that, it takes a defiant belief in yourself. Project Rock’s launch campaign told Dwayne's personal story to inspire the rest of us: if you want to change the world, you must first believe you can. And that belief is built rep by rep, and day by day. Then, we took the message beyond Dwayne to include the whole Project Rock community. Dwayne's first video post got over a million views in the first 15 minutes (with no paid media.) The campaign went on to generate tens of millions of views, posts, likes, and shares. We garnered good press from Fast Company and lots of others. People bought the clothes. And, most importantly, we made The Rock a proud Papa Bear.